zu befassen. Zu jeder Jahreszeit erwarten Dich Informationen und praktische Arbeiten im Bezug zum jeweilig herrschende Element. Wir durchleben bewusst ein Jahr mit all den Attributen und Einflüssen auf Mensch, Natur, Tier und Kosmos. Was passiert im Frühling wenn wir uns während drei Monaten im Element Luft bewegen? Was hat uns dieses Element im Tarot zu offenbaren? 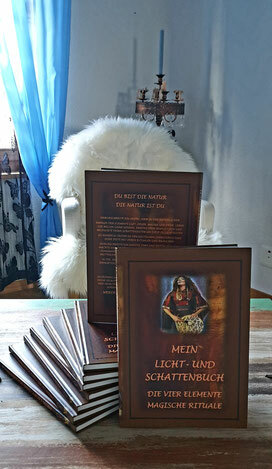 Welches Sternzeichen, Farben, Steine, Tageszeiten, Kräuter, Losungen, Rituale etc… gehörten zum jeweiligen Element? Ich gebe dir die Antworten dazu! Ein spirituell hochstehendes, spannendes und mächtiges Jahr im vollen Bewusstsein von Säen, Wachsen, Ernten und Ruhen. Leben und Tot. Anfang und Ende. Dies Alles erwartet Dich. Wir treffen uns 4 Mal im Jahr einen Tag lang.Du erhältst zu jedem Element einen Ordner mit allen Unterlagen. Du wirst Säen und Ernten. Weiter Infos erhältst Du per Telefon von mir. Schreibe mich dazu unter der Mailadresse an. GRUPPENAUSBILDUNG sowie EINZELBEGLEITUNG 2018 & 2019 SIND AUSGEBUCHT. Each of the elements has certain attributes and effects on the whole picture. In the circle of life, you sow, grow, reap and rest. These elements have respective gifts and features that correspond to ours. Unlike them, most people, animals but also the plants were trimmed to 12 months maximum performance. Animals and plants are depending on us and adapting to our requests. Today it is event possible in the winter time to get strawberries because we are artificially influencing the natural rhythm and the energy. The cows, for example, need to be milked every day because they produce milk. This took place not on a natural process. They are fed accordingly and by the constant action on the udder, they produce milk again and again. Naturally, cows only produce milk when they gave birth and until it is no longer as long dependent on mother’s the nourishment to grow. The same applies to human. The 4 Elements learn to live according to our inheritance and what we do not carry with us can be obtained from other people. The air helps in the spring, to blow away the seeds with the wind. This seed will then take the fire with its heat (like the sun) to grow this seed and so on. It was like that was among aborigines the Indians, for example. Every ethnic group had a narrator (air), they had the ability to spread wisdom of the ancestors. They had hunters, weavers, midwives and many others. Each member of ethnic group was subsequently highly respected, loved for his gifts and also needed. Should one member leave the circle, so the whole group suffered a gap that disturbed the natural cycle and thus vanished. So functions the circle of life in our life. Sowing, growing, collecting and rest. Based on the elements, you will distinguish the circle and its importance and learn to deal with it in harmony. You will realize where you neglected yourself and where you deal with it thankfully. 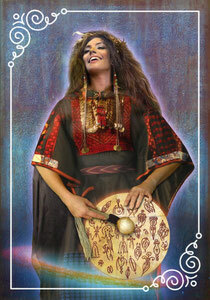 You will also learn about celebrations in relation to circle of life, the stones, chakras, herbs and planets etc. I will be very soon in a position to welcome you in my selected home country and to spend with YOU 10 days in harmonious elements sounds. Each circle will be important with its type, its environment and soul and will enhance the others. Please send me your interest via email. Best case registered to receive the newsletter!